The organic matter of the soil is a factor of soil fertility, the source of energy for the development and formation of soil, and finally, this is what distinguishes fertile soil from the parent rock. 2) a group of plant and animal residues of varying degrees of decomposition and intermediate decomposition products (unglued organic substances). 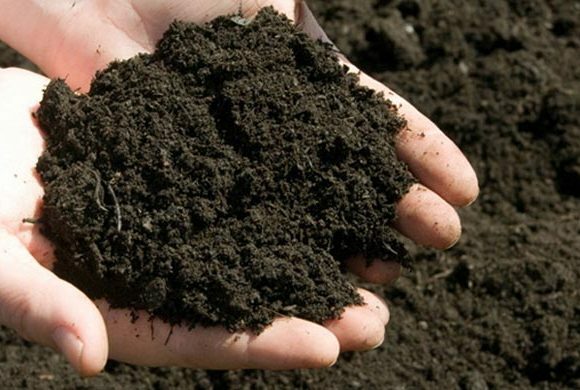 The organic matter of the soil is represented by 85-90% humic substances (fulvic acids, humic acids and humins). By their nature these are decomposition resistant, canned organic substances, consisting of 50-60% of carbon, 30-45% of oxygen and only 2.5-5% of nitrogen. They also include sulfur, phosphorus, etc. Humic acids and fulvic acids, as well as carbon dioxide produced in the soil during the decomposition of organic substances, exert a dissolving effect on the mineral compounds of phosphorus, potassium, calcium and magnesium, as a result of which these elements pass into accessible form for plants. The mobile nutrient elements of humus are less involved in plant nutrition than ungulified substances, because they slowly mineralize, but create a favorable environment for the decomposition of organic remains. However, with prolonged cultivation of crops without application of fertilizers, the decomposition and use of humic substances can occur, which leads to a significant decrease in the total amount of organic matter in the soil and a decrease in its fertility. The systematic use of organic and mineral fertilizers, ensuring an increase in the yield of agricultural crops, contributes to the conservation and accumulation of humus and nitrogen reserves in the soil, as the quantity of root and stubble residues entering the soil increases as the yield increases and humification processes intensify. The formation and accumulation of humus in the soil contributes to the creation of favorable conditions for the development and activity of microorganisms. Microorganisms activate many biochemical processes in the soil, participate in the process of mineralization of organic matter, increase the availability of soil nutrients and fertilizers for plants. Therefore, soils rich in microorganisms are more fertile and provide higher yields of crops. The second group of organic compounds that make up the soil, although quantitatively less, is, in some respects, even superior to humus. This group includes plant and animal remains of varying degrees of decomposition, intermediate decomposition products (fats, proteins, resins, fiber, organic acids, etc.). Unhumidified organic substances constitute 10-20% of the total amount of organic matter in the soil, they are a direct source of nutrients for plants and animals, some of them affect the transformation of nutrient elements of soil and fertilizer from a form inaccessible to plants to affordable and vice versa. They contain all the macro- and microelements needed by plants and animals. The content of organic matter in soils varies from 1-3% (in podzolic soils and serozem) to 8-10% or more in thick chernozems. In our practice, there were soil samples with a total organic matter content of 0.5-0.7% to 5-6%, an average organic matter content in soil samples of 2.0-3.5%. This statistics indicates a decrease in the fertility of our soils and their irrational use. Organic matter is the basis of soil fertility, it serves as a kind of reserve necessary for plants nutrients, has a great influence on soil structure, is a source of energy for many beneficial microorganisms. In organic matter, 98% of nitrogen, 30 to 40% of phosphorus, up to 90% of sulfur (from their total content in soil) are contained. That is why it is so important for us to know the content of the total organic matter when analyzing soils and calculating fertilizer doses for culture, since these are just the substances that plants consume in large quantities and they can be obtained from the soil. In the soil during the cultivation of plants, two opposite processes occur simultaneously: synthesis, accumulation of organic matter, and its destruction (mineralization). When mineralized, nitrogen, phosphorus and sulfur are converted to a mineral form that is assimilated to plants. The intensity of mineralization is affected by the culture and technology of its cultivation (the system of cultivation of soil and mineral nutrition). Therefore, it is so important to create optimal conditions for the accumulation and mineralization of organic matter in the soil. The best conditions are created in structural, friable, cultivated soils, where replenishment with plant and animal residues occurs, an optimal pH value is created, enough nutrients for growth and development are sufficient for plants. But not in all conditions, plants tend to accumulate organic substances in the soil, but only under conditions similar to the natural conditions of nature, where the top layer of soil always remains in its place, above, and not plowed into the lower horizons. As a result, I would like to say that the importance of such an indicator of soil fertility as an organic matter in the process of developing competent and complete recommendations for the introduction of mineral fertilizers is especially relevant for the calculation of doses of nitrogen, phosphorus fertilizers and sulfur fertilizers, and it also affects the rates of application of herbicides and liming soil.